Individual chromosomes align. Chromatids separate become visible; both processes include the movement of chromosomes toward the spindle poles, and both are accompanied by cell division. 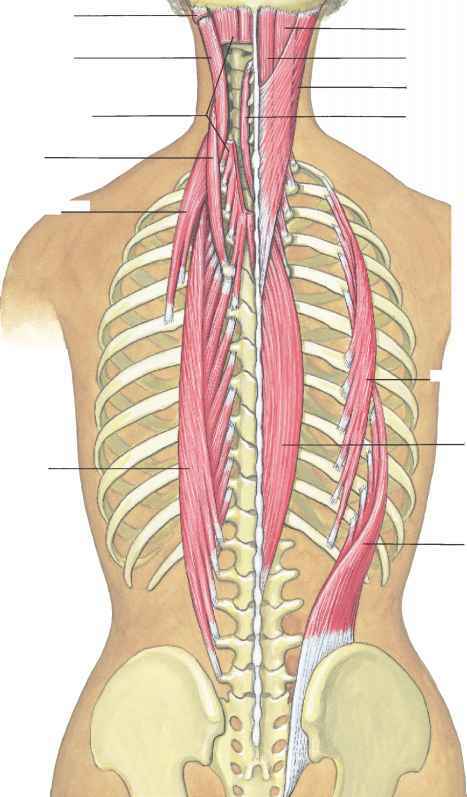 Beyond these similarities, the processes are quite different. Mitosis entails a single cell division and usually produces two daughter cells. Meiosis, in contrast, comprises two cell divisions and usually produces four cells. In diploid cells, homologous chromosomes are present before both meiosis and mitosis, but the pairing of homologs takes place only in meiosis. Another difference is that, in meiosis, chromosome number is reduced by half in anaphase I, but no chromosome reduction takes place in mitosis. Furthermore, meio-sis is characterized by two processes that produce genetic variation: crossing over (in prophase I) and the random distribution of maternal and paternal chromosomes (in anaphase I). There are normally no equivalent processes in mitosis. Mitosis and meiosis also differ in the behavior of chromosomes in metaphase and anaphase. In metaphase I of meiosis, homologous pairs of chromosomes line up on the metaphase plate, whereas individual chromosomes line up on the metaphase plate in metaphase of mitosis (and metaphase II of meiosis). In anaphase I of meiosis, paired chromosomes separate, and each of the chromosomes that migrate toward a pole possesses two chromatids attached at the centromere. In contrast, in anaphase of mitosis (and anaphase II of meiosis), chromatids separate, and each chromosome that moves toward a spindle pole consists of a single chromatid. The overall result of meiosis is four haploid cells that are genetically variable. Let's now see where meiosis fits into the life cycle of a multicellular plant and a multicellular animal. 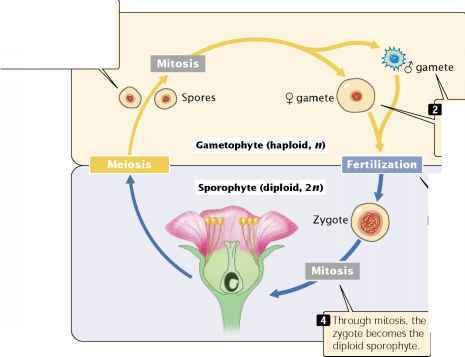 | Through meiosis, the diploid (2n) sporophyte produces haploid (1 n) spores, which become the gametophyte. 2.20 Plants alternate between diploid and haploid life stages.